I’m going to be honest; I only continue to watch Glee for Lea Michele and Darren Criss. One step further, I’m only watching it to see them sing. I don’t really care about many of the new characters and don’t really like some of the story lines that have been done this season. I LOVE their voices - plain and simple. I was ECSTATIC to hear that Lea Michele is releasing her debut album “Louder” in March and that her first song off that album has just been made available on iTunes (doesn't she look like a total babe in her album cover). I didn’t hesitate and downloaded it straight away. 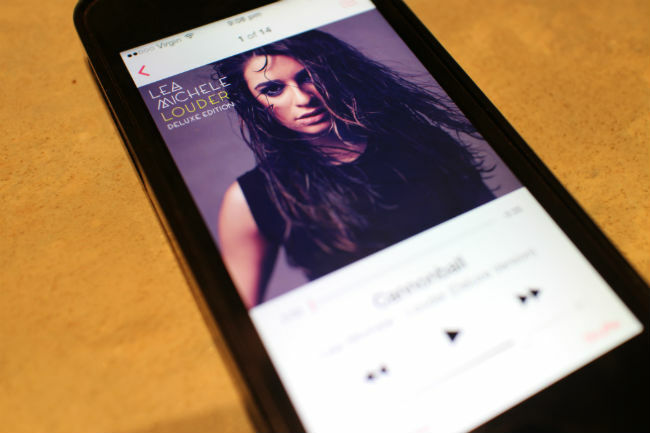 The first single is called “Cannonball” and it’s a powerful song. It’s a hopeful song about finding your strength and living your life. It's memorable and extremely impressive, showcasing her powerhouse vocals effortlessly. She sounds confident and hopeful and this song is punchy and explodes with strong lyrics and a strong drum beat. “I let go of fear and the peace came quickly "
It's a really strong first song and gives me hope for the rest of the album. I'm really excited that she's finally taken the leap into the pop scene and has done it her way. She has surrounded herself with some really talented song writers (this one is written by Sia) and it actually sounds like her - with a message she has always shared - be strong, be free, be TRUE. It doesn't feel like she's been forced into this (because of her role in Glee) and she's taken the time to do it right. I’ve been finding that my music of choice lately is women with powerful voices and powerful messages (Beyonce, Katy Perry, Lily Allen) of strength and resilience. Maybe that’s what I need at this point in my life – songs about independence and strength. Tell me, do you have a song that makes you want to have a solo car party?